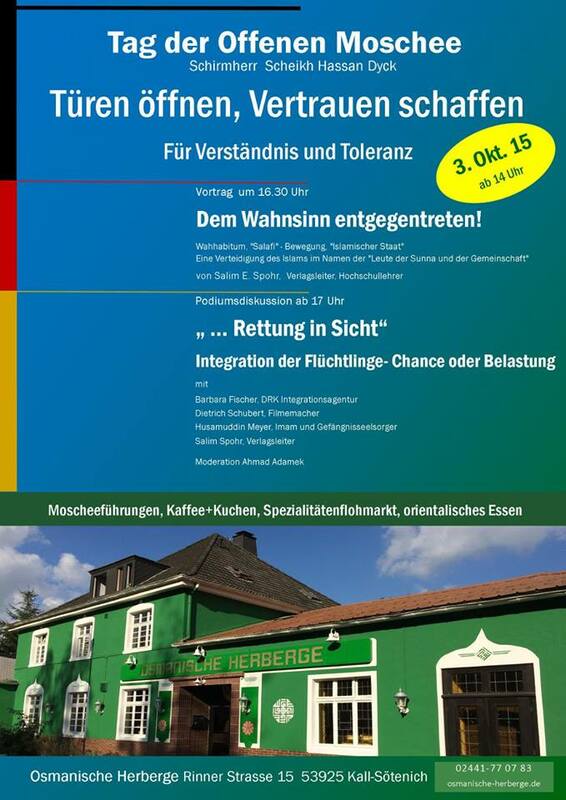 Since 20 years the Osmanische Herberge - located 1 hour West of Cologne in the Eifel - is a house of open doors and spiritual teaching in the tradition of a Sufi Dergah. People from all arond the world gather frequently to enjoy the association, take communal meals and remember Allah, as advised by Sufi Master Sheikh Nazim. Muslims and people of different faith are welcome at any time. Here you find the times for communal prayers and the Juma (Friday Prayer). The "SufiSoul" Worldmusic Festival will take place for the 20th time this summer in the Osmanische Herberge. Festival information and further concert dates you may find here. Twice a year we come together at the Osmanische Herberge for a 7-days family camp woth a diverse selection of workshops and seminaries. Read more. We offer free Quran-Lessons in our center for everyone who wants to study the holy Quran. Learn more about the Quran School. Our doors are open for everyone intending to marry. We invite you to celebrate with us. Read more about muslim holidays and weddings. The Nationalpark Eifel is inviting to nature - families with kids are welcome! Information on directions, accomodation and popular destinations nearby you may find here. What Happens in a Sufi-Derga? Die Osmanischen Herberge bietet mit Ihren Räumlichkeiten ein Podium für eine Reihe von Vorträgen und Veranstaltungen zu unterschiedlichen Themen rund um den Islam. Aktuelle Termine und Ankündigungen entnehmen Sie bitte der Termine-Seite, oder abonnieren Sie unseren Newsletter um regelmässig über unsere Veranstaltungen informiert zu werden. 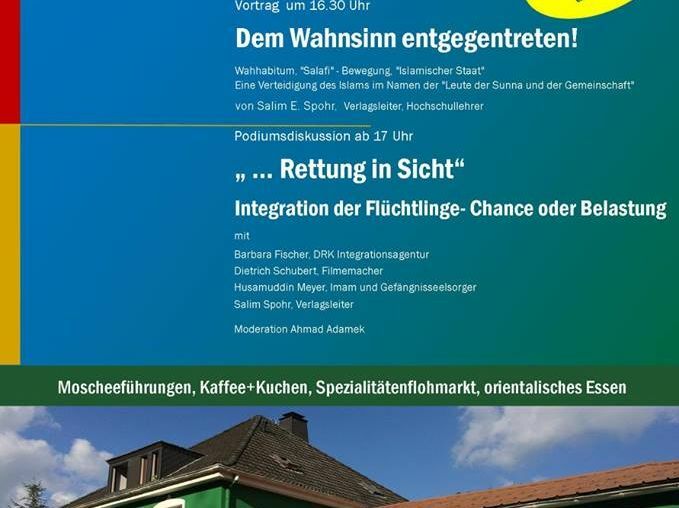 "Integration der Flüchtlinge - Chance oder Belastung"
Don't show this notification again.